Looking forward to attending the Parkland Show and Expo again April 6 & 7, 2019! 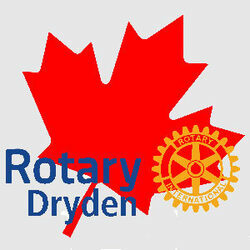 Watch Marc's presentation at the Dryden Rotary Club! Marc was a guest speaker at the Dryden Rotary Club on January 9, 2019. Q104 interviewed Marc about the his trip to South Africa. Huge thanks to Melissa at the Westend Weekly for not only a front page article, but for a full page front page article that was expertly written. Thanks for dropping in and hanging out with us Heather Latter! Great photos in the Fort Frances Times! What a great write up on page 9 about the business side of The Real Deal. Thank you Ian at Northern Ontario Business! Marc was a guest on the CKDR morning show giving away tickets to this year's Screening Banquet. Original air date June 21, 2016. Great article published by Ontario's Sunset Country Travel Association on June 17, 2015. Thanks to Tommy Johnson of Shaw Cable for the fantastic go! Dryden segment. Original air date February 27, 2015. 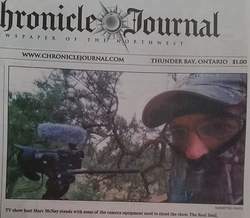 Great write up in the Chronicle Journal on the front page above the fold! Publication date February 9, 2015. Really enjoyed our live chat on CBC Radio Superior Morning with Cathy Alex. Original air date February 4, 2015. If you would like to host The Real Deal at your event, please contact Marc for more details.